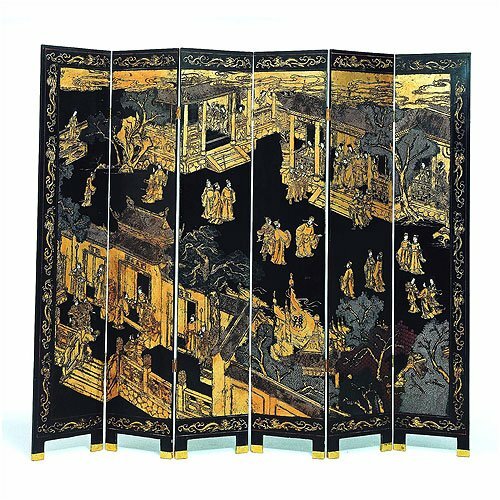 This unique Asian-inspired room divider places its artwork at the forefront. The prominent print bears a familiar Asian theme and stands out against the dark background. An intricate pattern frames a scene featuring townspeople communing in the center of the village.